A life of racing yachts taught the champion sailor about conserving vital resources. 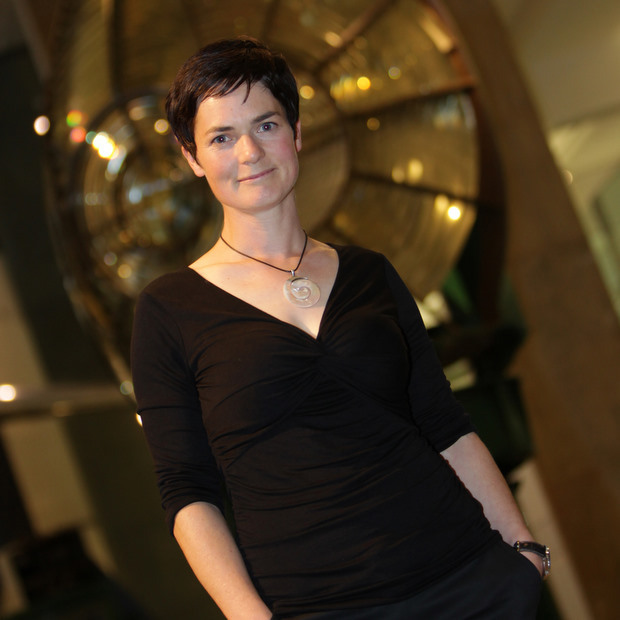 Dame Ellen MacArthur started sailing at the age of four, bought her first boat when she was just 13, broke the world record in 2005 for the fastest solo circumnavigation of the globe, and has won numerous round-the-world trips and dozens of records and honors. Next up: saving the planet. Forget the tired way of conserving resources–switching lights off, recycling, etc–MacArthur wants to re-design how people think and act on both a macro systematic level, down to individual thought patterns and school education. Sailing taught MacArthur about the finality of resources–having to conserve every last drop of power, food, energy, and toothpaste–and she thus can relate to the very desperate need for a sustainability framework in a way most people cannot. MacArthur stops to tell Fast Company about her new campaign, why she launched it, and what’s innovative about it. How did sailing turn into a global sustainability quest for you? First of all I never thought I’d be doing anything other than sailing in my life! But through sailing I discovered something I certainly wasn’t looking for. When I raced around the world I took with me a minimum of resources. I needed the boat to be light to be fast and what I had was all I had. There was no stopping off to buy more toothpaste, or diesel for the generator and at sea I managed these resources down to the last drop despite the fact I was more exhausted than I would probably ever be in life. The reason being was because I was acutely aware that they were finite. When I stepped off the boat, though, I realized that our world too is finite, but the difference is that there is no finish line to pace yourself for! How will you translate the “circular approach” into a vocabulary and campaign message that is more easily digestible to the masses? We are focusing on the idea of a circular economy, and to help people understand this we have made videos which are present on our website to communicate this. We are also finding that we are using phrases such as “made to be made again” and George Lakoff’s line, “using things,” rather than “using things up.” It’s a very simple message at heart, but a huge shift in perception is needed, hence the Foundation’s focus on education. Early childhood education is often overlooked as a tool to combat wastefulness. Will your work address the role of children and schools in transforming how people relate to the environment? The Ellen MacArthur Foundation’s objective is to inspire the next generation to re-think, re-design, and build a sustainable future. But its focus is not on the small things we can do in our everyday lives, but how the young people can play a part in the businesses of the future. It focuses not on the “using less” and eking our resources out a little longer, but on redesigning the future, and is based much more around us and our futures than anything else. It’s about seeing what lies before us as an opportunity to run towards, than something to run from. Though it has taken me a while to get here I now really do believe that we can achieve this; there are a great number of inspirational examples out there of businesses thinking differently. And the Foundation’s objective is to seed the education system with these. You blogged recently about moving from guilt to optimism. Can you say more about your philosophy and how you arrived at it? How does such a view inform your sustainability work? When I initially became interested in sustainability I was extremely concerned about our dependence on resources which won’t be around forever. I felt guilty myself to have participated in the age “who’ve had it all,” who’ve unlocked energy from beneath the ground and used it to develop at a rate never seen before in our history. But with time I began to realize that that’s exactly where the solution lies, not in feeling bad about where we are, but in being motivated by what we’ve shown decade after decade just what we can achieve. Even personally my passion for the subject has become infinitely more positive since I saw these examples and ideas which really did work long-term, and on large scales which fascinated me. Do you have plans to partner with Al Gore? How will your campaign differ or appear similar to his? The Foundation is about sharing information with the next generation, and is not so much about raising awareness of what I think many people know is a problem. In a world in which we are no longer making resources such as copper, indium, coal or oil we need to think differently as materials and energy will only become more expensive. We are all about sharing the best solutions out there. I haven’t yet met Al Gore but would love to meet up with him sometime and throw some ideas around!